Join Elsa, Anna, Olaf, Kristoff, and Sven in the magical FROZEN adventure! These famous Disney Frozen characters will greet your party guests with a huge welcome! 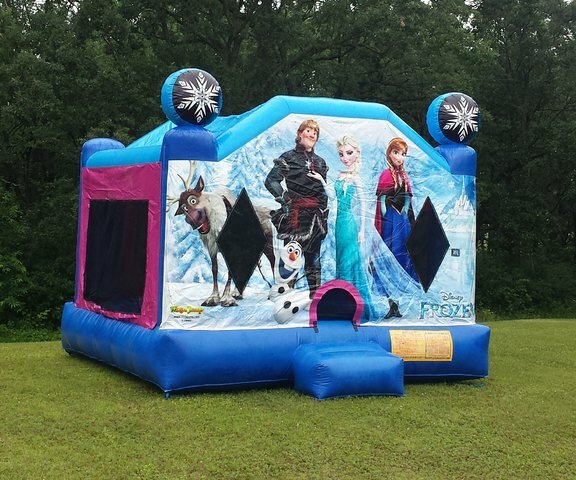 The Disney Frozen Bounce House features an inflatable safety ramp at the entrance to protect excited kids as they scramble to get inside the bouncer. Once up the ramp, there is a netted crawl-through opening that makes it easy for young children to get inside, but the safety closure makes it difficult for them to fall out. Inside, this bouncer has a large and spacious jumping area and can accommodate up to 8 participants at a time. It also has large netted vent windows that allow for fresh air-flow that keeps your active kids cool in the summer and also makes supervision of the activities inside the frozen wonderland a breeze! Overhead, there is a tiered covered roof that provides shade over the entire bounce house. To top it off, there are two large snowflakes soaring overhead as the excited kids jump inside! 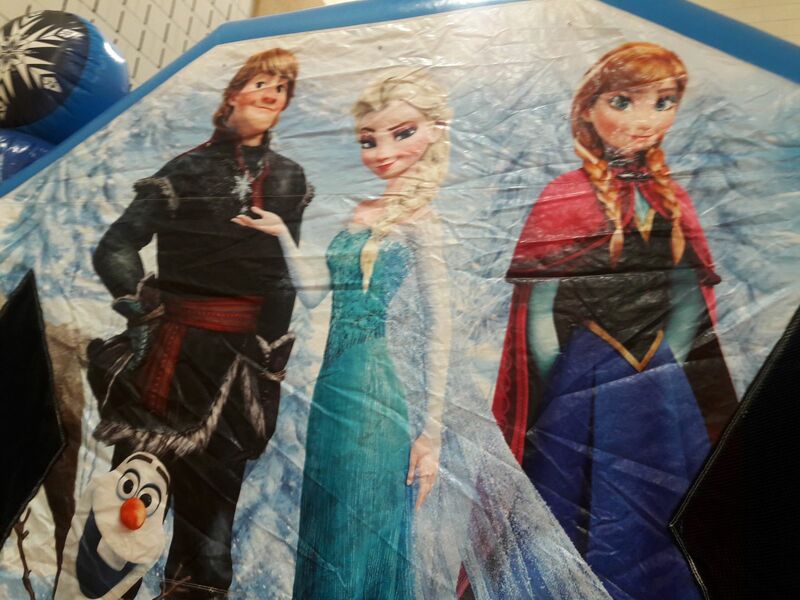 This large bounce house will have your little ones screaming, "Let It Go!" all day long!